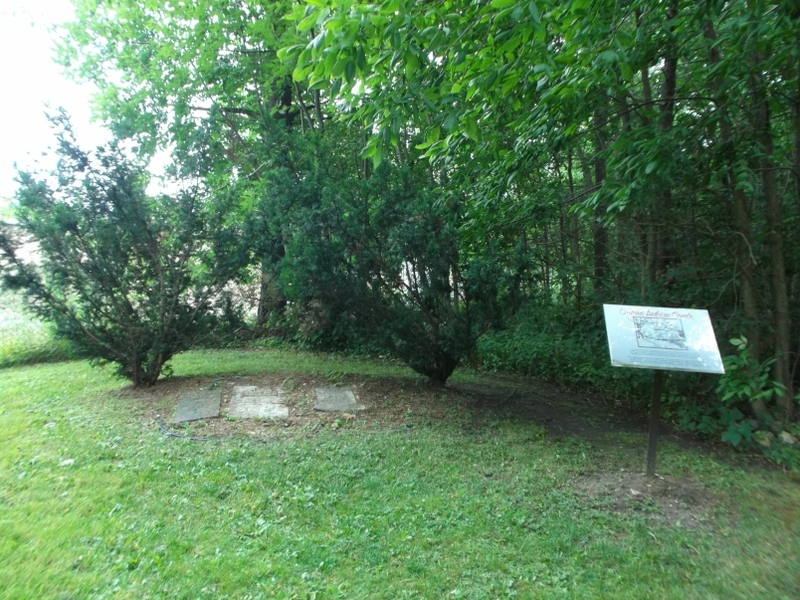 This very small cemetery consists of 3 flat markers nestled in the trees at the back of a small Lions Park in the Village of Arthur. 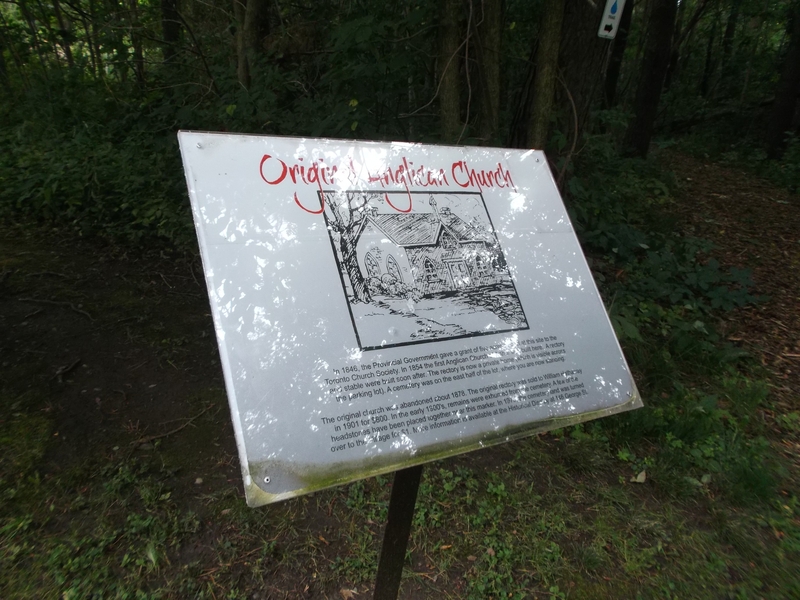 In 1846, the Provincial Government gave a grant of five acres of land at this site to the Toronto Church Society. 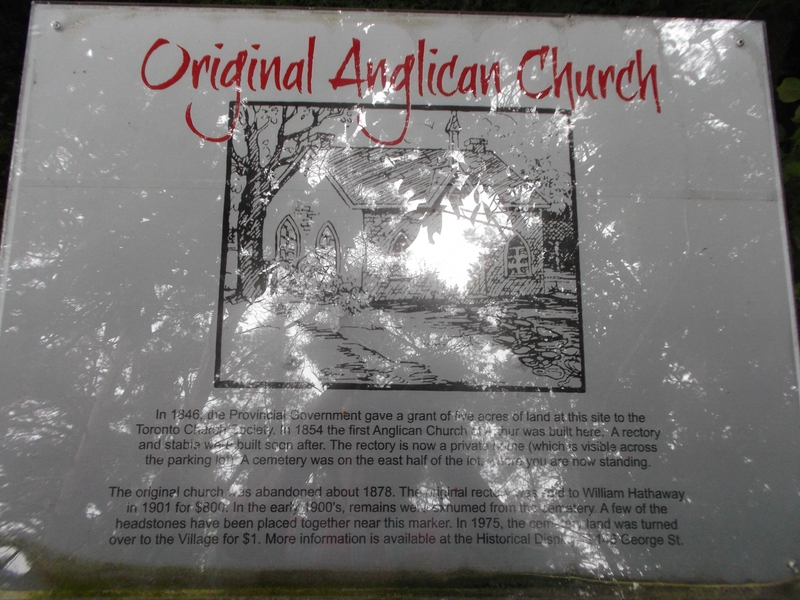 In 1854 the first Anglican Church of Arthur was built here. A rectory and stable were built soon after. The rectory is now a private home (which is visible across the parking lot). A cemetery was on the east half of the lot. The original church was abandoned about 1878. The original rectory was sold to William Hathaway in 1901 for $800. In the early 1900's, remains were exhumed from the cemetery. 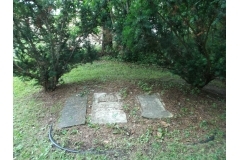 A few of the headstones have been placed together near the marker. In 1975, the cemetery land was turned over to the Village for $1. More information is available at the Historical Display at 146 George Street, Arthur.